Hard work is always easier if you're not going it alone. Join our MRT boot camp classes and find a family of athletes willing to cheer you on, build you up and push you to be your best. Maintaining strength, balance and flexibility are critical to preserving health long term. Join an all ages group of athletes focused on building and growing inner and outer fitness--together. Rowing is a great cardio workout, and our newest class makes it fun and challenging. Join rowing for a new way to challenge yourself for a full body workout!! 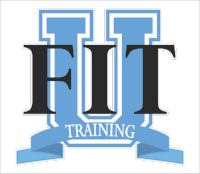 Whether you're an athlete looking to improve endurance, speed and agility, you're working to regain mobility after surgery or an injury, or you're just looking to improve your overall fitness and health, the coaches at Fit U Training have the skills and experience to guide you in the process.